TONIGHT’S THE NIGHT!! LIMITED FLASH SALE GOING ON NOW to the BIGGEST & BEST Kansas City New Year’s Eve 2018-2019! FLASH SALE - RIGHT NOW! Buy Now & Save Big $$ for Tonight! Enjoy 6 Hrs of Unlimited Drinks INCLUDED! Group Discounts for 5+ ppl. There's a reason The Temple has sold out 8 Yrs in a Row. Join us! Biggest + Best 100% Indoor New Year's Eve Party in Kansas City! If you are looking to dance into the new year at a massive NYE Celebration... look no further and experience Kansas City's #1 New Year's Eve Party. The critically acclaimed, award-winning Kansas City New Year's Eve Party in the heart of downtown Kansas City is back again for 2018 - 2019. New Year's Eve Celebrations start here. No other New Year's Eve parties or events compare. Celebrate and create memories this New Year's Eve that will last a lifetime — "NYE at the Temple"
LARGEST 100% Indoor NYE Party in Kansas City! NYEKC has sold out 8 Years in A Row. Do Not Wait to Purchase Tickets. 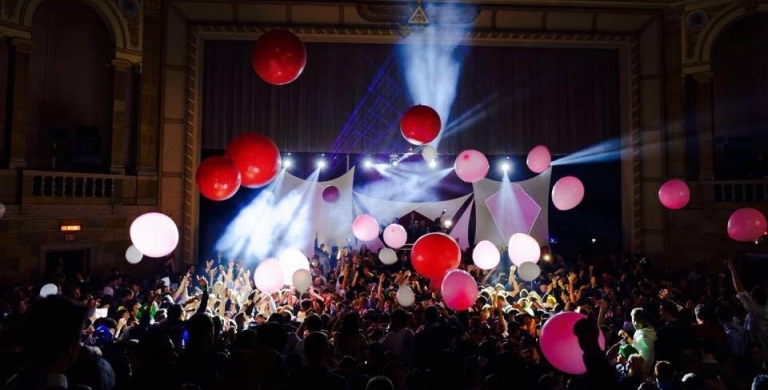 NYE at the Temple is produced by a professional events company that has been servicing Kansas City for 10 years. We have never run out of liquor, our bar lines are minimal, our coat check is flawless, and the production is world class. Select wisely and join the best — NYE at The Temple. Kansas City's Best New Year's Eve Party. NYE at the Temple IX is on New Year's Eve, Monday 12/31/18 at The Scottish Rite Temple Downtown Kansas City. Dress to impress. Male dress code is “business casual.” You don't have to wear a tie, but dress like you are applying for a management position. (That means: no hats, tennis shoes/sandals/work boots, shorts, T-shirts, jerseys, athletic attire, denim jeans, baggy pants, etc.) A collared button-down shirt and nice slacks is ideal. Please, gentleman, this is strictly enforced. LIMITED! These will not last! FLASH SALE NEXT 2 TABLES! 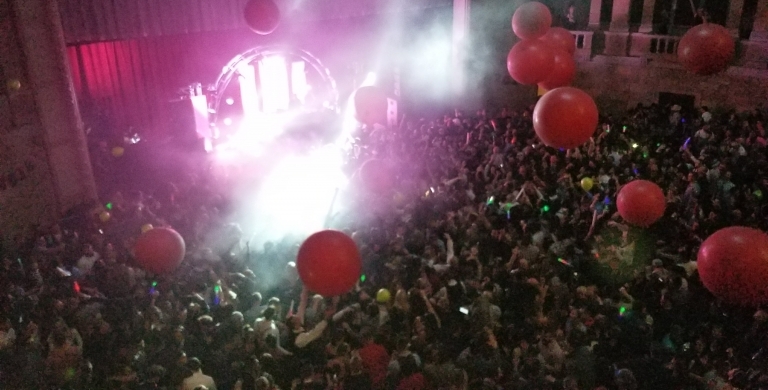 © 2007-2018 Borda Productions "NYE at The Temple IX 2018-2019 via NYEKC.com"